We are the leading Manufacturer of the Universal Permeability Apparatus that is developed as per an IS: 2720 (Part â�� XVII) unit. We manufacture the units as per the specifications of our customers. The units are produced using good quality raw materials for a longer life of the product. 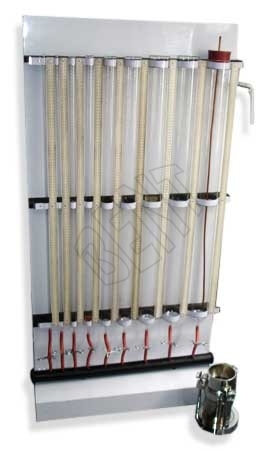 Our Universal Permeability is offered with 9 glass tubes on a wooden stand. There is also a provision for an overhead tank which is made of G.I Sheet and also a rammer for above of 2.6 kg. which is available at extra cost.